Tributes have poured in for a ’thoughtful, friendly and incredibly loyal’ young farmer after he collapsed and died during a rugby match. Josh Gilbert, 25, was playing prop forward in an away game for Thurston Rangers against Hadleigh on Saturday when he fell to the ground. Emergency services were called to Hadleigh Rugby Club in Hadleigh, Suffolk, at about 3:25pm on Saturday. Attempts to resuscitate Mr Gilbert were unsuccessful. Thurston chairman Matt Ansell said the club was in a state of shock and Mr Gilbert - who was known as Bear - was a "larger than life character". He said: "He was really well liked and respected, he will be deeply missed." Mr Gilbert collapsed 20 minutes into the game between the second teams for the two sides. "It was obvious pretty quickly something significant was wrong," said Mr Ansell. 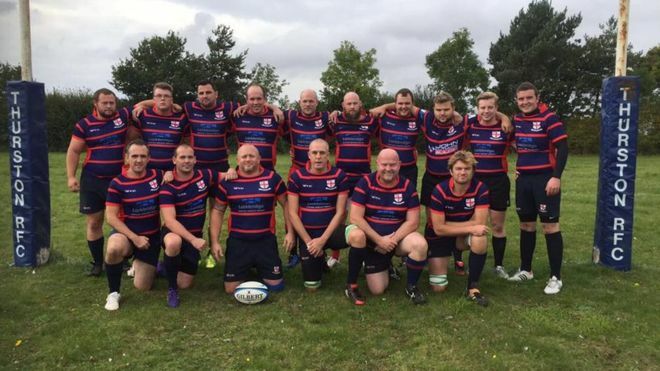 In a statement, Thurston Rangers Rugby Club, said: “On Saturday the club lost one of its own in tragic and untimely circumstances. “Josh Gilbert was an enormous character, liked and respected by all he met. A stalwart of Thurston’s playing and social activities, Josh will be deeply missed by all Rangers. “We thank the rugby community who have already expressed their condolences and support, especially all at Hadleigh Rugby Club who comforted and supported the players in such difficult circumstances. The National Federation of Young Farmers’ Clubs released a statement on Facebook. It said: "NFYFC is really sorry to hear about the loss of one of the YFC community’s great friends Josh Gilbert, who died during a rugby match on Saturday. 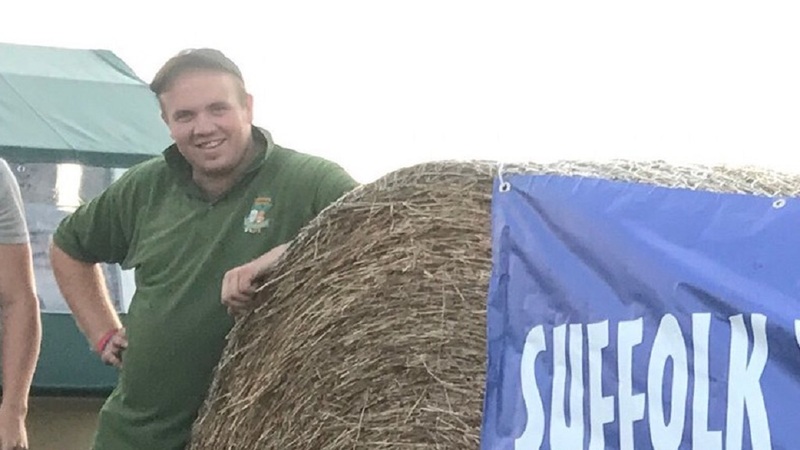 "Our condolences are with the friends and family of Josh – and especially to all those at Bury YFC, where Josh was Chairman, and all who knew him at Suffolk Federation of Young Farmers Club - YFC and throughout the wider Federation." Beth Duchesne, of Suffolk YFC, posted a tribute on Facebook. She wrote: “Josh was a true young farmer, he was one of the most reliable, caring, and honestly one of the nicest people I have ever met. He would do anything for anyone. "Our Chairman for Bury YFC for two years, and the heart of our club ever since he joined. Even from being a junior member, we all knew josh would be one of a kind. Josh has been one of my closest friends for the best part of 25 years, and we are all going to miss him dearly. "I am so unbelievably proud of all the young farmers, who came together Saturday evening, carrying on and having one hell of a good YFC Bash, just as Josh would have wanted us to. "He would be so proud that we were all together as one big group, no divides between clubs or friendship groups, we were one big YFC family- just as Josh liked it. "Josh has left a huge hole in all of our hearts, and all our thought are with his family at the difficult time. Sleep tight big man #BearHasGoneWild." Friend and fellow cricketer Andrew Ross also paid tribute on Facebook. He posted: "On behalf of everyone connected with our club and the sports club as a whole can I pass on our heart felt thoughts and wishes to Howard, Anita, Tim and Lucy on the incredibly sad news of Josh’s passing away whilst playing one of the sports he loved - rugby. "On a personal note I have to say Josh Gilbert was a thoughtful, friendly, incredibly loyal and fun individual who I know will be greatly missed, he was a Walsham lad through and through he loved playing cricket and I know loved captaining the side on several occasions this season. "Josh would never let you down and I knew that I could always rely on him, he brought a lot of fun and laughter to our club, one of the last messages he sent to our Saturday side wishing them good luck ended with "winners are grinners". You will be greatly missed - rest in peace."